Iittala's Kastehelmi tumblers are part of the popular glass collection designed by Oiva Toikka. In 1964 Toikka’s aim was to design a pattern that would conceal the joint marks in pressed glass. The result was Kastehelmi, Finnish for dewdrop, that features delicate glass droplets arranged in a series of rings. Kastehelmi became one of Toikka’s most beloved series of glassware and it was manufactured until 1988. 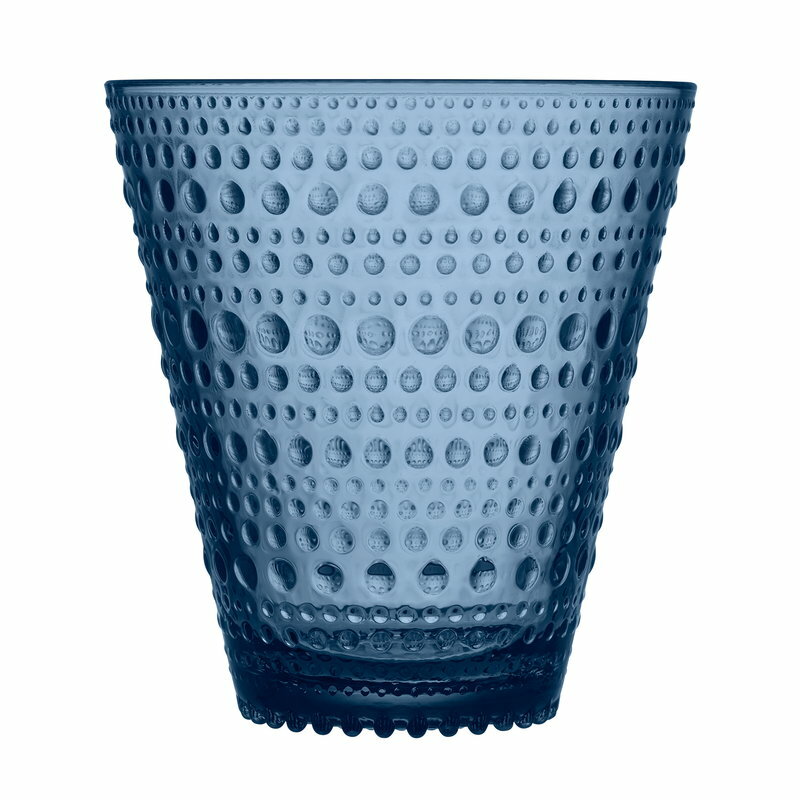 The most popular items were brought back to Iittala’s production in 2010. Kastehelmi plays with light in the most beautiful way and suits any table setting. The 3 dl tumblers come in a set of two. Oiva Toikka (b. 1931) is a Finnish glass artist who has become famous worldwide for his collection of glass birds designed for Iittala. His imaginative, rich and bold glass art deviates from the streamlined aesthetic of Nordic design. He has worked in the performing arts for as long as he has in glass. The Birds collection is Oiva Toikka’s best-known work. Iittala Birds is a unique collection, even in global terms. Every year, Professor Oiva Toikka and the skilled glassblowers assisting him breathe life into yet new species of Iittala Birds. The first birds created by Oiva Toikka and the glassblowers of the Nuutajärvi Glass Factory, the oldest in Finland, saw the light of day in 1972. The first bird was the Flycatcher, appearing in different colour variations. Over 300 species have been created, some of them more enduring in production than others. Each bird is a unique individual, signed with the artist’s name as well as the name of Nuutajärvi – it is the tangible product of skilled artisanship. The passing of time enhances the value of these art objects. That is why Iittala Birds are cherished and valued gifts and irresistible to collectors around the world, from Finland to the United States and from Central Europe all the way to Japan. During his long career, Oiva Toikka has created important works in glass. In 1964 he designed Kastehelmi, a range of glass tableware, for Iittala. 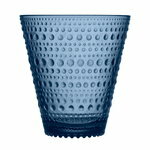 The series was in production for over 20 years and in 2010 Iittala reintroduced a selection of the most popular pieces in the range to celebrate Toikka’s 50 years of work with Iittala. Even though glass has always been Toikka’s favourite material, he has worked with ceramics as well – he originally studied ceramics and his career started at the art department at Arabia – he has covered many other areas as well. Another example of his creative personality is represented by the pieces designed for the Me Too collection by Magis – the same collection which includes also the sympathetic Puppy and the colourful Trioli children’s chair created by Eero Aarnio – as the rocking chair Dodo and the coat rack Paradise Tree. Oiva Toikka has enjoyed an international career and received numerous awards, among them Lunning Prize, Pro Finlandia Medal, World Glass Now 85 Award, Kaj Franck Design Prize and the Prince Eugen Medal.